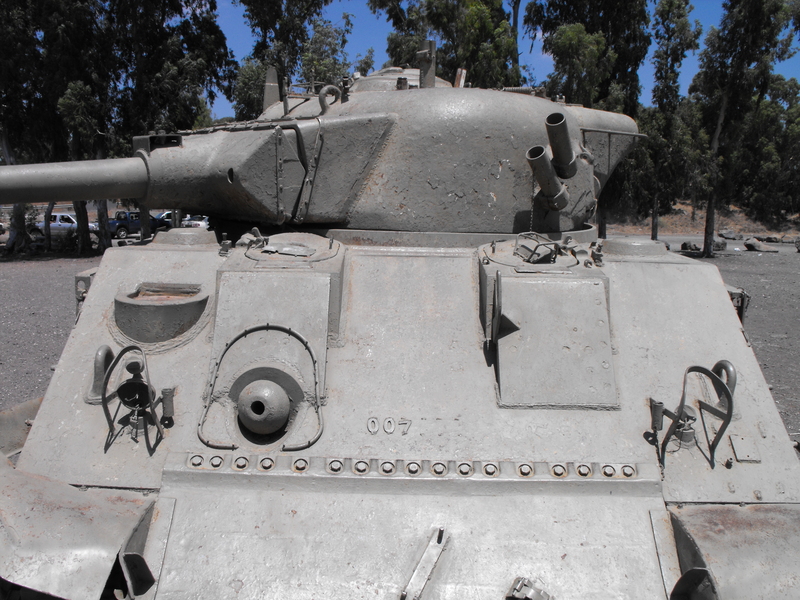 Israeli Shermans: These Modifications Kept The Sherman Relevant Into The 70s! 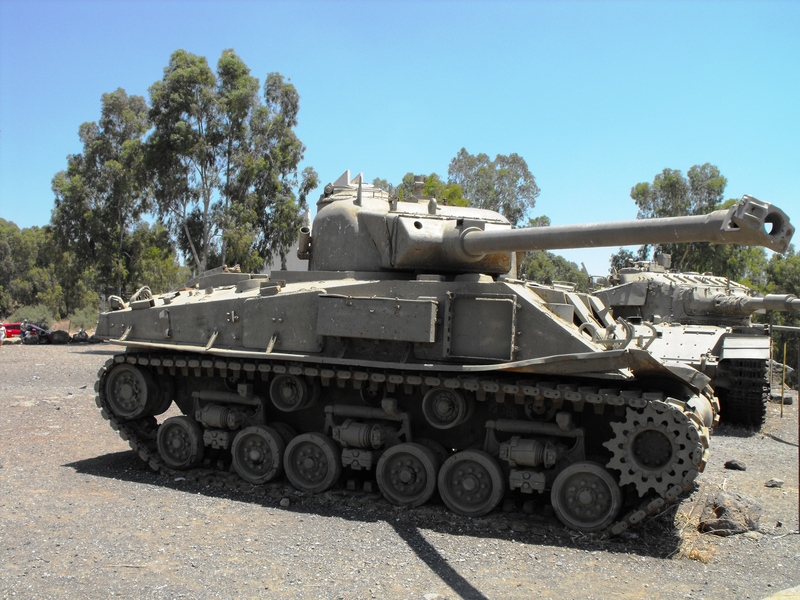 Israeli use of the Sherman tank would be long and glorious, with updated models using extremely upgraded guns, seeing action for decades after WWII. They would use the chassis for more things than the US Army did. They also went with their own strange naming system, making trying to figure out the Israeli Shermans even harder. There is also not a lot of good books in English on the subject, and Hunnicutt only has a little info on them and I think it’s a tad out of date. This section will be updated as I find out more info on the subject and or correct what is here, based on newer better info. 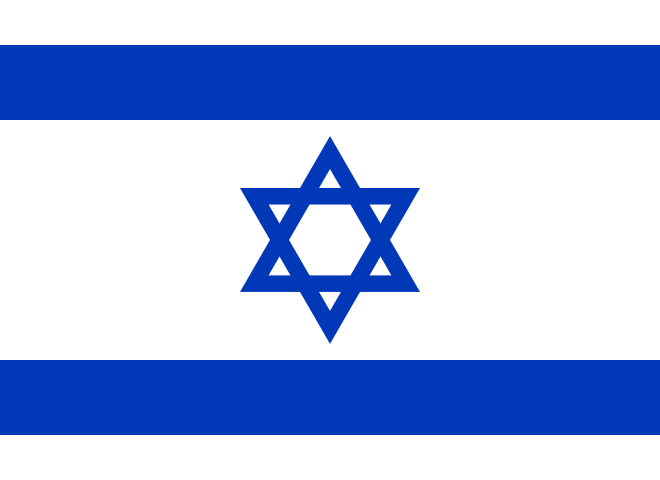 In the dark early days when Israel was struggling to become a nation, they managed to get ahold of a few Shermans. Three or so were acquired from the British, probably M4A4s. They also managed to get de-milled Shermans from Junk vendors in Europe. They had to re arm some with an old German 75mm field gun, they were called Sherman (Krupp). When they managed to get ahold of a Sherman armed with a M3 75mm gun the tank was called a Sherman M-3, when it had a 105mm gun, it was a Sherman M-4. As you can see already, naming convention confusion has commenced. In the later fifties Israel was able to get more up to date Shermans. 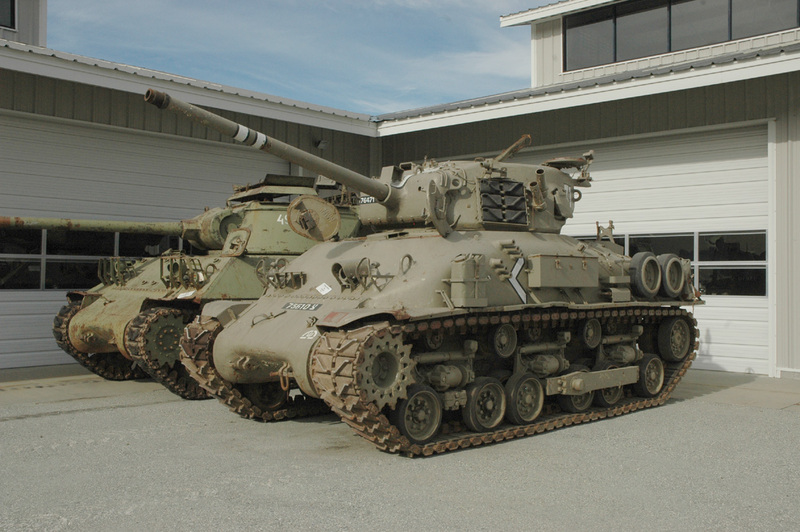 The tanks were M4A1 and M4A3 models with the 76mm M1A1/A2 gun, probably from France. These Shermans were called Sherman M1s, regardless of what motor or hull they had. 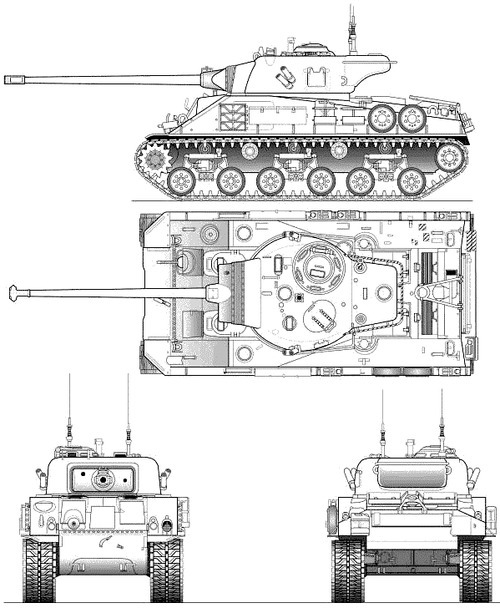 If they had HVSS suspension, they were called Super Sherman M1. Some of these tanks had an upgraded engines, probably late in their careers, and with Cummings diesels. The Story gets more interesting, and slightly less confusing in the naming area, when they started to rearm the tanks. 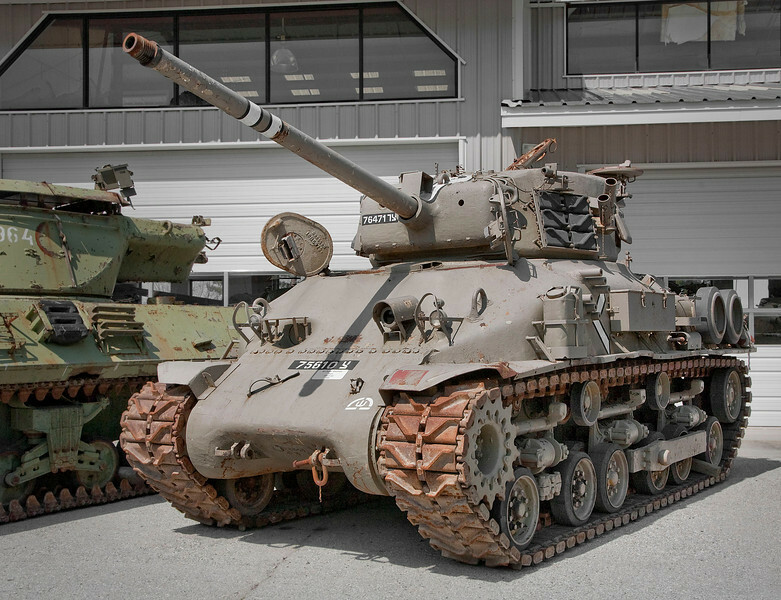 M-50 based on a large hull Sherman, probably an M4A3. 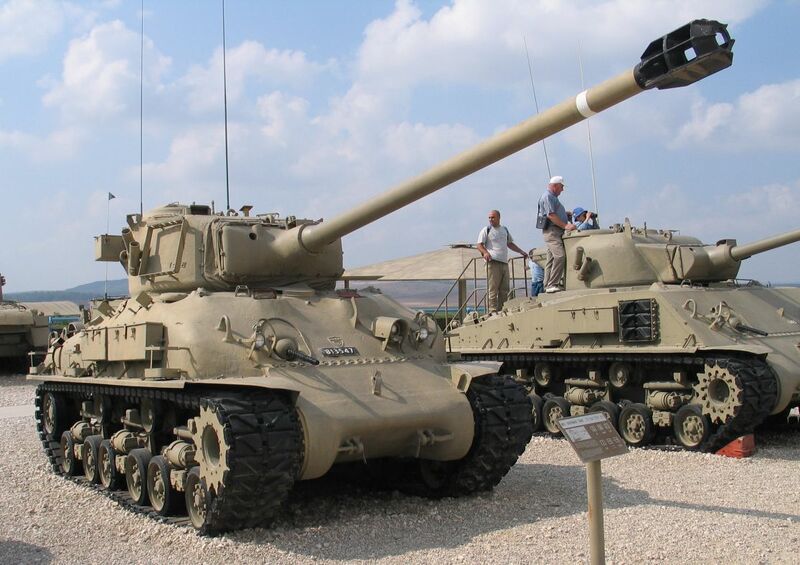 The M-50: In 1954 Israel and France went to work on a project to fit the excellent French CN 75-50 75mm gun to the Sherman 75mm turret. This gun could shoot an AP round out 3200 feet a second. To fit the gun they added an extension to the front, and rear of the turret, the front one to fit the gun, and the rear one to add counterbalance weight. 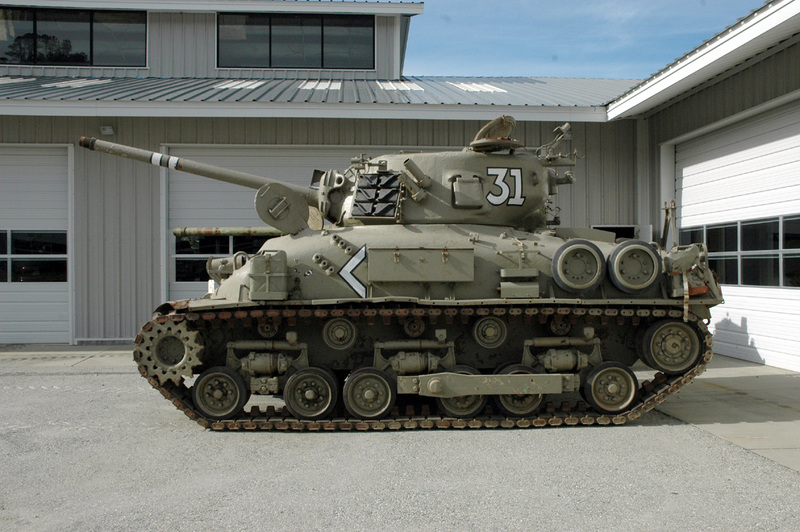 The first fifty tanks were based on the M4A4 hull that had been converted to use the R975 radial motor. This motor, though less powerful than the A57, was much more numerous, and easy to repair, and the French specialized in this conversion. These M4A4 hulls with R975 radials still had their VVSS, with 16 inch tracks. The added weight of the new gun on the already larger and heavier hull made for a very sluggish tank with poor off road ability. These early M-50s also had early split hatches on the commander’s cupola. 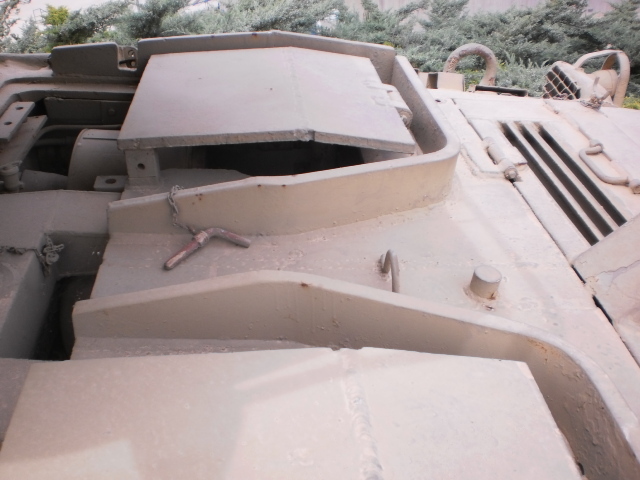 I think these tanks had a loaders hatch installed. They solved this by installing HVSS, and in many cases a Cummings diesels motor. Once production got rolling, they were installing improved all around vision cupolas and HVSS on all the converted tanks, but some seem to have retained the R975 radial or in rare cases the maybe the Ford GAA? I’ll have to look into this more. One thing is clear from looking at pictures of the tanks in action, and survivors in museums and private collections, is they were not picky about what hull they used, as long as it had a 75mm turret. I’ve seen M4A4 hulls, and other early small hatch hulls in photos, they could be M4, M4A2 or A3, and pictures of a large hatch hulls, that could have been M4 105 tanks, (the only large hatch hull M4 tanks), or M4A3 75 or 105 tanks or even M4A2 75s. I have seen very little evidence that M4A1 hulls were used, I’ve only seen two clear pictures of the M-50 turret on M4A1 hulls, and one was on a non HVSS M4 and you couldn’t see the front of the hull to tell if it was large or small hatch hull. 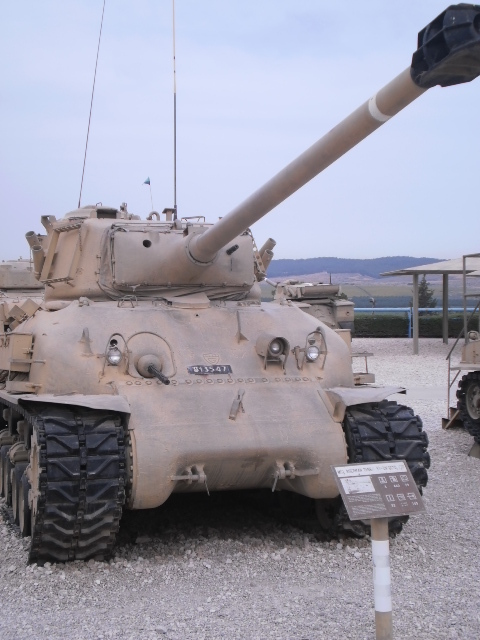 The M-51: In the early 60s the Israelis went to the French for help shoehorning an even bigger gun into the Sherman. They took a shortened version of the 105mm Model F1 gun; this was a modification of the gun used in the AMX-30. The gun retained a stabilizer, I’m not sure if it was the original Sherman one or a more advanced design. This gun could fling an AP round at 2969 feet a second and had a HEAT round that could penetrate 14 inches of steel. They chose to use M4A1 76 W tanks exclusively. 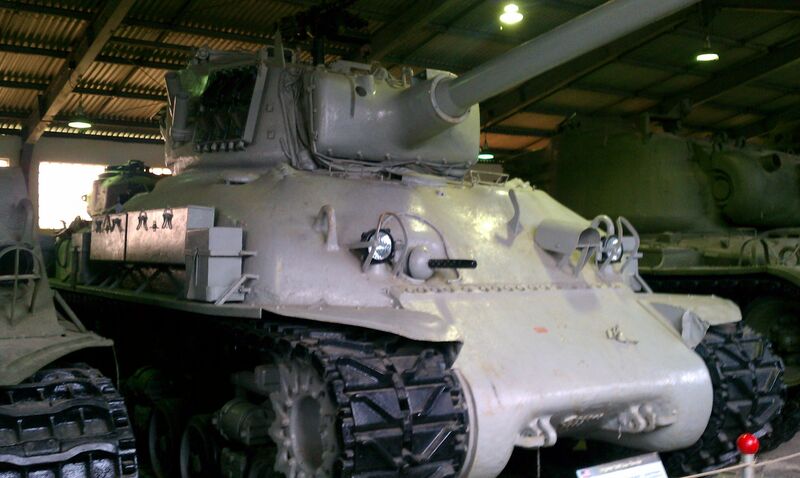 These tanks had the larger T23 turret and they was helpful in getting the guns to fit. The French prototype retained its VVSS, and R975, but the Israeli production modifications had HVSS and the Cummings diesel fitted to the M-50 models. This was a 950 cubic inch diesel that put out 460 horsepower. This was enough horsepower along with the HVSS, to keep the tanks reasonably mobile, but they were no hotrods. 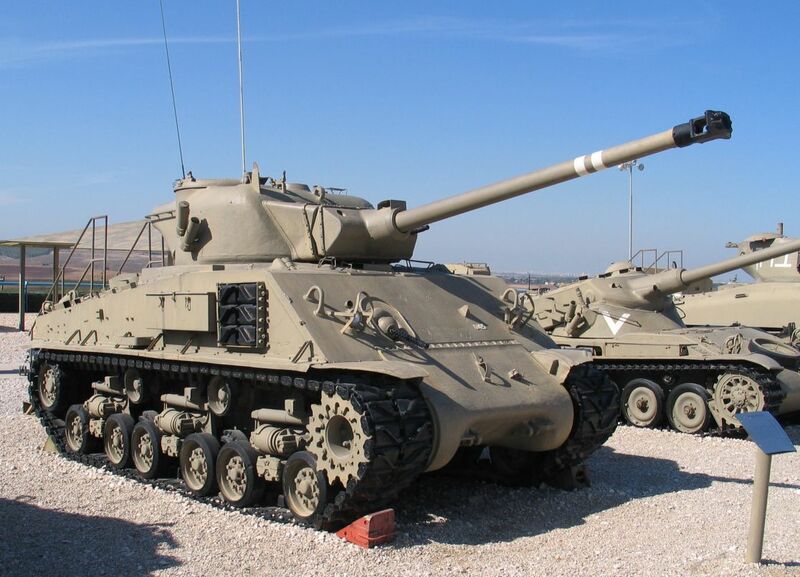 Both these tanks saw extensive combat use with Israel all the way into the 70s, and then a lot of them were sold off to collectors and museums or used as range targets. Coming soon! 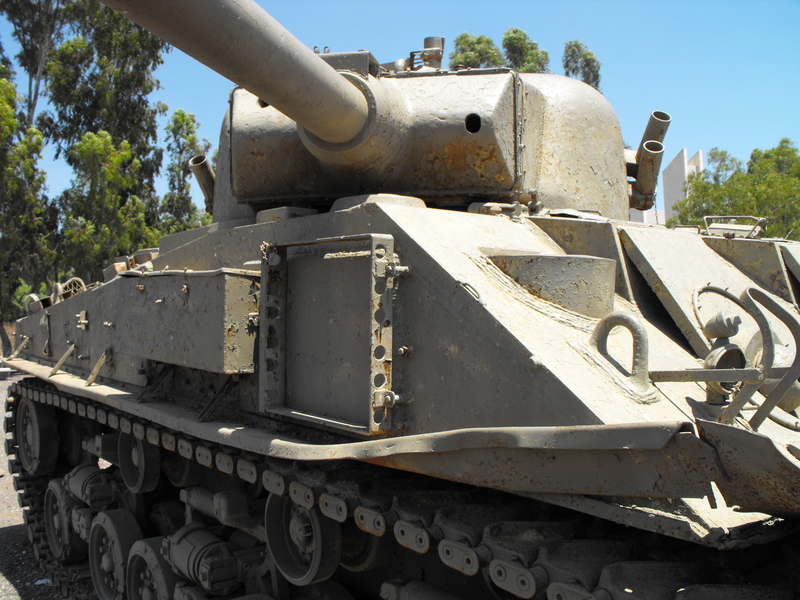 Other stuff the Israelis used the Sherman chassis for!! !